The AWARD WINNING 'Teechers' Returns! 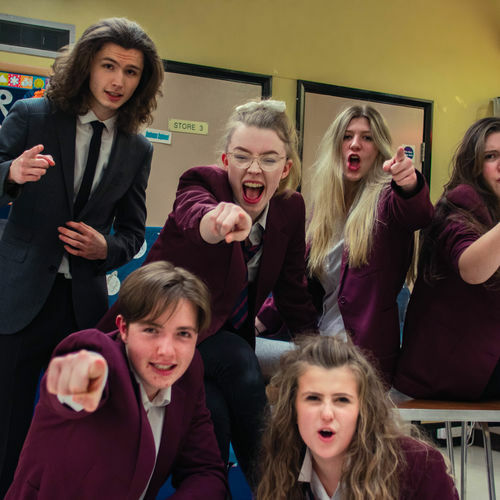 In March 2019, the cast of 'Teechers' performed to great acclaim-- They then continued to perform in the Welwyn Garden City Youth Drama Festival and WON! Medal for Individual Excellence- Jessica Heppelthwaite "for her comedy performance"
Due to high demand- The cast of 'Teechers' will return for two performances at The Nobel School and will also compete in the 'Welwyn Garden City Drama Festival' in May 2019 and the 'All Winners Festival' in July 2019.